Organic Chicken? It’s Not Necessarily Humane. One of the requirements for meat being certified organic is that, where possible, the animals are raised in a humane manner. But if you’re buying organic chicken expecting that bird to have been raised humanely, you are sorely mistaken. In the Center for Food Safety’s recently released whitepaper, the agency slams the United States Dept of Agriculture for stalling animal welfare requirements for poultry. This is an Organic Valley chicken farm in Wisconsin. They receive no outside light. Does that look humane to you? (photo from The Cornucopia Institute). 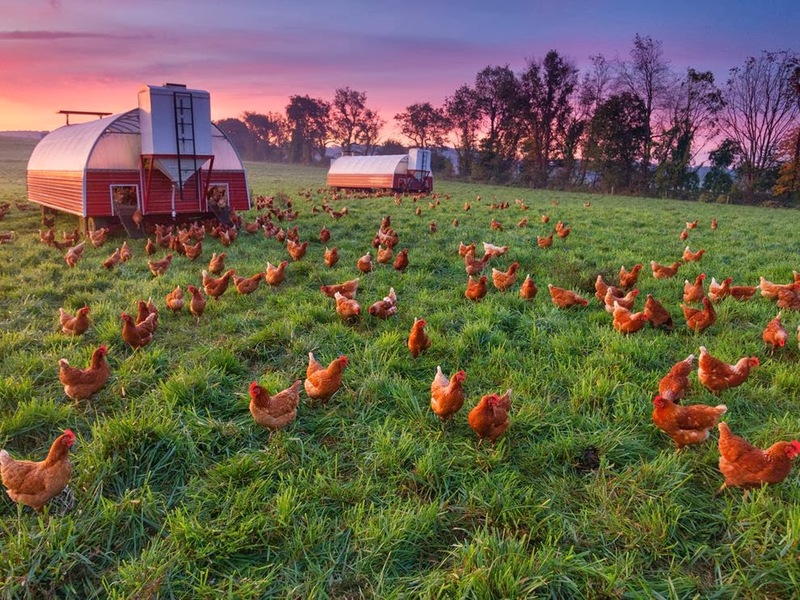 USDA claims that it is doing so because it would be too expensive for organic poultry suppliers to comply with the standard. We’ve heard THAT one before, haven’t we? According to CFS, the REAL problem is that the big organic poultry companies don’t want to comply, so if the USDA enforces the humane standard, they will quit the organic game. As Joel Salatin, owner of Polyface Farms in Virginia (an organic farmer), said: “People have a soul; animals don’t. Unlike us, animals are not created in God’s image.” I guess that makes it OK to treat animals cruelly. And since the USDA is convinced that humans want to see the word ORGANIC on their food more than they want to know animals were treated humanely, they bow to the pressure of big business. Again. Never mind the small chicken farmers ARE complying and HAVE BEEN. So what’s a savvy consumer like you to do? Look for notation on the packaging that the birds were humanely raised. 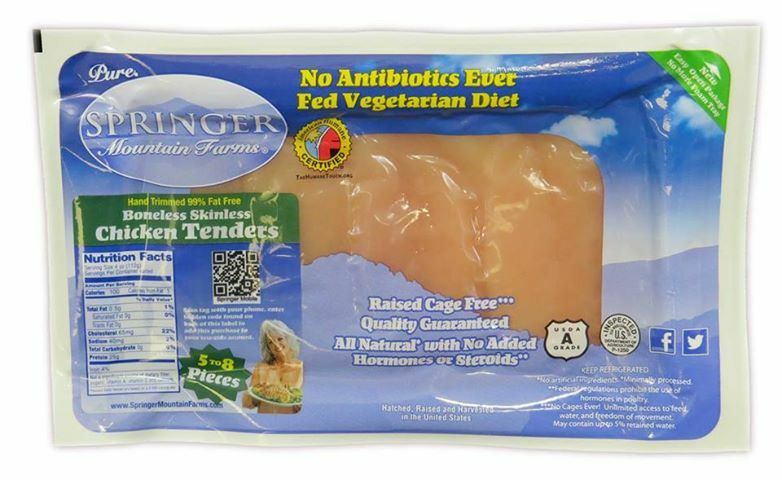 As you can see, Springer Farms sought certification from American Humane (circle beside the company logo). Or don’t eat meat at all. It’s sad that big companies get to skirt the rules like that. And for what? 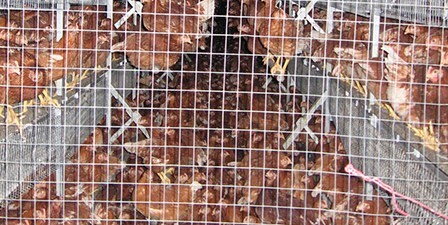 Do those who eat organic really think chickens raised in those cramped conditions are healthier? Better yet, don’t buy it unless it’s local and you can see where the birds are raised for yourself! Same thing with eggs. And better yet, try a vegetarian chicken analog! Not surprised. Look at their record on puppy mills. They sit on their asses while animals suffer. Mother Jones has been doing some great articles about it. Combines the USDA’s lack of action and the fact that Big Food has bought up all the Organic companies and have lobbyists trying to lower the standards now, it is lose lose for us and the animals. The New York Times did a big piece about it awhile back and it is all about the lobbyists. I am closer and closer to going vegetarian but until then I try to buy local and even order from America Farmers Network. Yes the labeling is confusing. An organic label doesn’t mean they product is ALL organic, just MOSTLY. That’s weird what Mr. Salatin said. I always wondered why always one wing of Easy’s chicken was broken when I removed them from the package. It was always the left wing. I wrote a letter to the company ( no complaint, I just asked, I swear) … 3 years ago. By now I’ve got NO answer, bet they still ponder about that “phenomenon”…. They prescribe to the adage that ignorance is bliss. What Joel Salatin said like ““People have a soul; animals don’t” is not true…….It’s human’s ego that they want to think of animals like that……. Why am I not surprised! It seems accurate that when money is involved animal welfare (humanely treated animals for slaughter, etc.) is an oxymoron. Thanks Rumpy. When will it come to pass that companies need to tell the TRUTH on their packaging? And when will humans learn to treat all living creatures, even if being raised for food, in a humane and respectful manner? It is a sad world we live in sometimes. We have to be careful here too Rumpy. The labeling of foodstuffs is very misleading. You might enjoy this I think Rumpy. This is a very valid point. Labelling is not to be trusted. A lot of it is really advertising. Michael Pollan has written some good stuff on this. That quote by Joel Salatin, even though I admire some of what he does, makes me feel uncomfortable about his beliefs. I find it hard to understand how someone who spends any time with animals could truly believe that. Meat eaters, and egg consumers need to get to know ethical producers and the provenance of their food. This means doing research and due diligence. The only way to make change is with our dollars – giving them to the people who do the work we support in exchange for honest food we want to eat. Not eating meat at all is the best option. We don’t know what goes on in these farms, and cutting out meat in our diet means taking a stand against the inhumane process that slaughtering animals for food involves.